During his recent (12 May 2017) interview on Fox, Donald Trump was asked by Jeanine Pirro about his allegedly asking James Comey, for Comey's loyalty. This interview took place three days after the President fired the FBI Director. What follows is a transcript of this portion of the interview, followed by a partial nonverbal and paralanguage analysis. JEANINE PIRRO: People suggest that the question that - apparently The York Times is selling, that you asked Comey, whether or not you had his loyalty was - possibly inappropriate. W-, could you see how people could think that? JEANINE PIRRO (over-talking): Did you ask that question? DONALD TRUMP: No. No, I didn't. But I don't think it would be a bad question to ask. I think - loyalty to the country, loyalty to the United States is important. You know, I mean it depends on how you define a-, loyalty. Number one. Number two, I don't know how that got there - because - I didn't ask that question. DONALD TRUMP (over-talking): Well - that I can't talk about. I won't talk about that. All I want is for Comey to be honest, and I hope he will be, and I'm sure he will be, I hope. 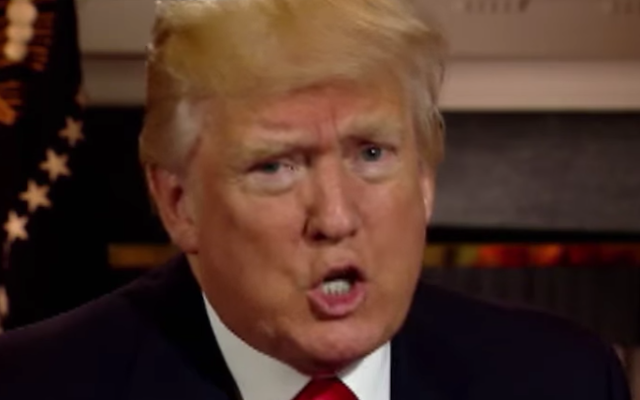 Donald Trump very rarely displays an elevated central forehead contraction (Elevated CFC). But when he does, his mouth is always displaying a partial, albeit false, smile component. In this particular example, his mouth display not only does not show any upper teeth (e.g., as with sincere smiles), moreover his mouth is melodramatically morphed. His forehead and mouth cluster display is an example of forced (acted) incredulity. This is overkill. This is melodrama. 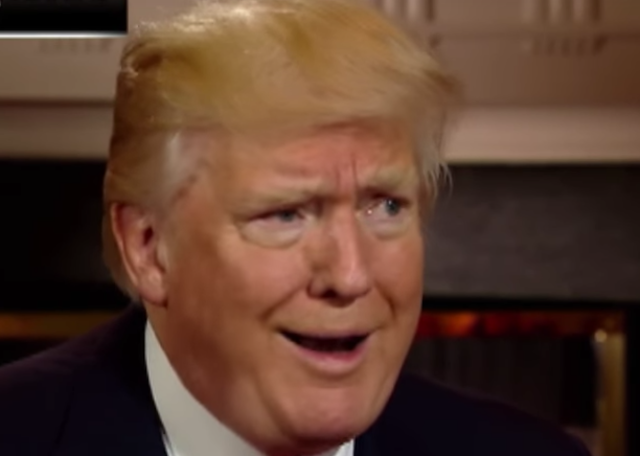 Evaluating his gaze behavior: When right-hand dominant individuals (as is Trump) look up to their left, a very large percentage of the time (>95% in those who have been evaluated ["normed" or normalized] for their baseline behavior), they are visually recalling an event from the past which they witnessed. This indicates, with high probability, that President Trump did indeed ask James Comey for his personal loyalty. With either scenario, he did not witness the alleged event, thus he's re-creating a visual "memory" of it. Since Trump was there with Comey, he would not have to construct a memory (If it was a true memory, he would simply have to recall it). Thus we are left with the conclusion that, with a very high probability, Donald Trump did not tape record (audio record) James Comey as he has suggested in his recent tweet. During 0:14, the President stutters saying, "I don't think it's approp, inappropriate." When Ms. Pirro asks him a question regarding him allegedly asking for James Comey's loyalty, Donald Trump responds with statements about loyalty to the country. 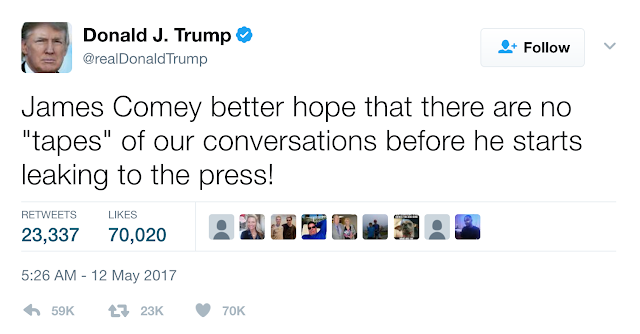 The President did not record this conversation with then Director Comey. He is bluffing.